[1:03] <[Saint_]> Its kinda hard to take the project seriously. [1:03] <[Saint_]> All they seem to be doing is leeching off the success of the RPF. [1:23] <evil_dan2wik> Tachyon`, a better processor would be nice, yes. [1:24] <evil_dan2wik> Ponies are not welcome. [1:25] <evil_dan2wik> Tachyon`, Xmos chipset? [1:29] <evil_dan2wik> Tachyon`, google it. It seems like a pretty good chipset. [1:55] <[Saint_]> Vendors usually like to sell those chipsets in the tens of millions, per quarter. [1:56] <[Saint_]> Its no secret raspberrypi just absolutely wouldn't be a thing if it wasn't for a special relationship with Broadcom. [1:57] <[Saint_]> Special consideration for the SoCs was /rather/ pivotal in the pis success. [1:58] <[Saint_]> They could've used another vendor, but not for the same price point to end users (ie. more expensive end product), and not for the same initial relatively small batches. [7:24] <matty_r> Anybody setup Raspbian in QEMU? I'm trying to transfer files to the VM. [7:37] <drewbug> What is the cmdline.txte file on the first partition? [11:52] <[Saint]> Aha. Its nice to occasionally be right. [11:52] <SpeedEvil> eni23: So you need a digitally controllable PSU - do you need an accurate current limit at 400mA - or is that a minimum? [11:53] <[Saint]> It also pays to note that 4V 400mA is _definitely_ not enough to power a pi. [11:53] <eni23> SpeedEvil: its the maximum. [11:53] <[Saint]> It just won't happen. [11:53] <[Saint]> Err...I think not. [11:56] <eni23> SpeedEvil: not really. i need it for controlling a ringer from an old telephone. with 5v its not really loud, with 12 its reeealy loud. the ringer is controled via 2x 300Ohm coils..
[11:57] <SpeedEvil> you mean directly powering from 2 GPIO ports? [11:58] <SpeedEvil> eni23: the right way is probably to not do what you asked. [12:01] <[Saint]> Its like designed to run at much higher voltages I'd posit. [12:01] <[Saint]> Telephone lines are around 90V iirc. [12:02] <OY1R> what can do to have VLC reconnect to an audio stream if my network connection goes down ? [12:02] <[Saint]> Its also VAC iirc. Not DC, but hey. [12:04] <[Saint]> There's rather a lot of wiggle room. [12:05] <eni23> Saint: does not matters. im dont use the parts in the phone, i replaced everything with new parts. the raspberry is an voip-client. there are 2 coils (300 ohm) wich mechanicly control the ringer..
[12:06] <eni23> originally the ringer is powered by 60V 25HZ AC but with condencers and stuff. [12:06] <[Saint]> Oh...I'm aware. I'm just diving into the rabbit hole here for my own curiosity. [12:07] <jacekowski> but what i don't get, why don't you just buy a voip phone? [12:07] <[Saint]> If the single odjective is "make it make an acceptable noise" there's a wide range of possible voltaages and frequencies. [12:45] <gordonDrogon> eni23, ah, excellent. she they don't work with ATAs as that would make life so much easier :) I've done a lot in the past with VoIP (asterisk) and stuff like that. [12:48] <eni23> gordonDrogon: yes, thats what ive done. it can read the rotary-thing and hook from the old phone directly..
[12:50] <didlix> I don't suppose there are grants for 29 year old developers to get a pi? [12:53] <Armand> didlix: It's so cheap.. why would it warrant a grant? [12:54] <SpeedEvil> eni23: You have two outputs. [12:54] <Armand> As I can only be critical at this point, I shan't comment further. [12:54] <SpeedEvil> eni23: If you turn the solenoid on for 50ms and then the other one on for 50ms immediately with no gap, it's as loud as it can be. [12:55] <eni23> SpeedEvil: with this soultion i could only control volume, not frequency? [12:57] <eni23> would be nice to control frequency too..
[12:58] * SpeedEvil may not be tracking very well. [12:59] <eni23> SpeedEvil: so i need 2x this: http://elinux.org/RPi_GPIO_Interface_Circuits#Driving_a_relay and control via time? [13:00] <gordonDrogon> you could always use a dual H-bridge motor control chip. [13:01] <gordonDrogon> that would make generating 'AC' easy from a 12V supply. [13:02] <eni23> gordonDrogon: somethink like lm239d? [13:02] <gordonDrogon> had internal diodes too. [13:02] <eni23> i have some uln2003 chips here. would they work too? [13:03] <gordonDrogon> I've seen a circuit using that to implement a sort of H bridge, but it's not easy and needs an external transistor. I'd stick to the motor controller. [13:04] <gordonDrogon> a program to clip 2 bits at 25Hz would be easy to do, then it's just a matter of working out the cadience. [13:05] <gordonDrogon> you can parallel up the 2 sides of the l239d too - if its just one coil you're driving. [13:06] <gordonDrogon> reduces the thermal dissipation somewhat. [13:47] <pksato> LM239 or L239? [13:48] <eni23> not shure l239 should do the trick? [13:48] <pksato> But, L239 not exists. [13:51] <pksato> L293 is a quad motor driver. LM239 are quad votage comparator. [14:05] <gordonDrogon> Ah. I didn't pick that up earlier either - dyslexia striked again. [14:07] <eni23> which l/lm do i need now? [14:13] <gordonDrogon> So the L293D is the chippie to get. [14:17] <SpeedEvil> eni23: have you already got this ringing? [14:17] <SpeedEvil> eni23: just not at controllable volume? [14:17] <SpeedEvil> ShorTie: they do. [14:18] <SpeedEvil> eni23: So, as above - simply adjust the timing. [15:14] <torbjorn> I see gpio pins are typically exported to make them available for userland tools. is there a noteworthy cost associated with this? can I just export all my pins at boot and live happily ever after? [15:20] <shiftplusone> use it and live happily ever after. [15:27] <gordonDrogon> of-course you can always do it in BASIC too. [15:37] <shiftplusone> to be fair, you can do it with anything that lets you map and poke memory or use c functions. [15:39] <neutrino> what the discusion about ? shiftplusone ? [15:44] <neutrino> ah autopasswords eh ? [15:45] <neutrino> i mean you let your client store your password for you ? [15:49] <steve_rox> is that the law breaking transmitter or streaming? [15:53] <niston> those things you can plug into the cig lighter in your car and "broadcast" music from the mp3 player to the built-in radio, are they law-breaking, too? [15:54] <niston> less power than PiFM? rly? [15:55] <niston> pretty cool, yeah. [16:00] <steve_rox> you could use it as a emergancy distress transmission becon thing? [16:03] <djazz> All the frequencies! [16:07] <neutrino--> shiftplusone: what do you think about a superheterodyne built with the pi ? [16:08] <IT_Sean> pifm spectrum leaks like a... well... like something that leaks a lot! [16:08] <shiftplusone> neutrino--, no idea, I'm not a radio guy. [16:08] <IT_Sean> whatever your local regulatory agency (in the US, the FCC) will come knocking. 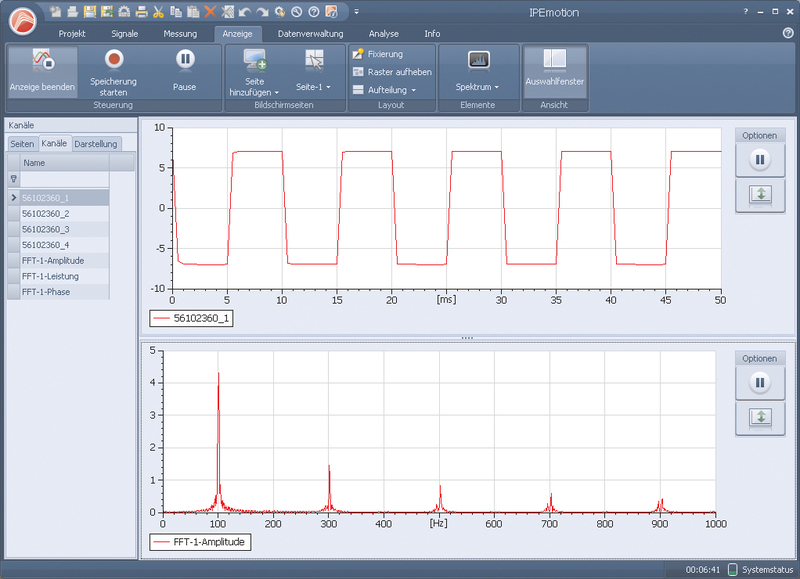 [16:08] <shiftplusone> I just know that a square wave in the frequency domain does not look pretty. [16:08] <IT_Sean> And if you should interfere with a licensed broadcast, you are liable for massive fines. [16:09] <Armand> I'm sure a sound beating should suffice. [16:09] <neutrino--> is that pifm ? [16:16] <niston> almost time to go to school! [16:22] <IT_Sean> Microsoft is gonna screw it up. [16:22] <IT_Sean> Better download the latest version now. [16:25] <shiftplusone> Why is ms buying minecraft bad? it's awesome. [16:26] <neutrino--> niston: it works on vmware ? [16:29] <niston> Then again, I expected something like WoW with guns. My bad perhaps. [16:50] <neutrino--> destabilizer: can you point me to the 2.7 inch one ? [16:59] <destabilizer> what is about 7" or more? [17:00] <neutrino--> destabilizer: have you found datasheets for thede lcd's ? [17:02] <SpeedEvil> $10 or so 2.7"
[17:05] <darkavenger> hi, do you know any kind of web-gui for fail2ban? [17:23] <shahin8r> Is it possible to somehow temporarily "disable" the USB function in one usb port so it only charges the camera i'm connecting instead of enabling "usb mass storage" on camera? [17:25] <shahin8r> I've found this: http://paste.ubuntu.com/5917876/ but does it keep charging the camera when off? [17:43] <IT_Sean> um... good for you? [17:44] <Pkunk> Is there a problem with the Model B+ & CLOCK_MONOTONIC , or is it just an issue with kernel 3.12.y ? [18:50] <IT_Sean> Okay, so US:5 BLG:1. Still. [19:49] <flughafen_> what do when hdmi-cec stops working? [19:50] <SpeedEvil> Run in circles scream and shout? [19:50] <SpeedEvil> Duck and cover? [19:51] <SpeedEvil> Sorry - I have no sensible suggestions. [20:12] <DIYninja44> Has anyone tried running a video chat application on rasberry pi ?? [20:17] <errietta> i have a wifi dongle (RT5370) and a custom kernel. I've compiled into the kernel and loaded rt2x00usb and wireless-tools etc but i'm not getting a wlan0, do ineed something else? [20:25] <Spider-Man02> can anyone help me with a raspberry pi and with retropi? [20:31] <errietta> that might be a problem..
[21:49] <gadgetoid> Arr! Tis always speak like a pirate day for me! [21:51] <gordonDrogon> hows the floaty stuff going? need to get your sparkly stuff hooked up to my mucky stuff at some point. [21:51] <shiftplusone> gordonDrogon, gadgetoid your code words for your secret projects are terrible. [21:52] <gadgetoid> Floaty stuff has been on the back-burner for the past couple of weeks, lots of other things to do! [21:52] <gadgetoid> What's wrong with floaters? [21:52] <shiftplusone> Does it have anything to do with explosions? [21:52] <gordonDrogon> gadgetoid, well am planning on a trip next week if all is ok with you guys. [21:53] <shiftplusone> Ah, I thought maybe it was something to do with a fireworks platform or something, but seems like I was off. [21:53] <gordonDrogon> well - not yet. I am looking at some propane burners, but they're expensive right now. [21:54] <gadgetoid> Sure thing! You're good company! [21:54] <gordonDrogon> I have a plan for a fire organ ... it needs big pipes, propane, burners, solenoid valves, spark plugs and assorted "stuff". [22:43] <oy1r> q: i just got a hdmi to vga+audio adapter, video works fine but i dont get any audio out of the thing. [22:44] <oy1r> anyone know what i can do here ? [22:44] <shiftplusone> poke config.txt until it works. [22:44] <niston> POKE config.txt,0 ? [22:45] <shiftplusone> Lots of flashbacks to my first C64 there. [22:45] <shiftplusone> Which doesn't say much, since I got my first C64 last year. [23:06] <niston> oy1r: have you tried the adapter with another HDMI source? [23:08] <niston> is it a cable or a box, the adapter? [23:11] <niston> and you get noise? [23:12] <oy1r> for some it does not. [23:13] <niston> yeah, some say they got one that didn't work at all. [23:16] <shiftplusone> niston, not up to scratch for some audiophools. [23:17] <niston> and what about the audio out on the TV set? [23:18] <oy1r> i want the rpi in a cabin streaming audio down to our onboard FM network. [23:19] <oy1r> out of sight. [23:19] <niston> on the adapter? [23:20] <oy1r> 3.5mm jack fell off ! [23:20] <megavoltaire> hey has anyone here had luck with a 3G USB modem? [23:20] <oy1r> at least it's an easy fix. [23:21] <niston> so you on a ship? [23:21] <niston> cool. raspi goes maritime! [23:25] <mikroskeem> but now problem is how can i export it's pins? [23:25] <gordonDrogon> mikroskeem, there's a wiringPi driver for that. [23:26] <gordonDrogon> is it supported by the kernel? [23:27] <gordonDrogon> maybe I should have checked to see if there was a krne module first. [23:29] <gordonDrogon> ah well. I think I'll stick to my way for now. [23:34] <oy1r> why am i not getting any audio from the pi now ? [23:37] <niston> oy1r: the problem persists after power cycling? [23:39] <niston> oy1r: what kinda internet connection do you have on your ship? [23:40] <oy1r> im on a slow vsat connection. [23:41] <niston> inmarsat or something? [23:42] <oy1r> reboot did not produce any audio ! [23:43] <oy1r> the beep did i do. [23:44] <niston> I take it there isnt analog audio either when the HDMI is disconnected? [23:44] <niston> maybe a forced configuration line still active? [23:59] <oy1r> i used this rpi on another ship in the same way, we got much better audio quality back then !